What does SWAT have that you don’t? What is it that makes those uniforms seem so bulky? And most importantly why don’t you have one? It’s simple really, they’re wearing the protection needed for their craft. In a worst-case scenario, you will want it too. When laying out the gear you need to keep those you love safe remember to keep yourself safe as well. Just for clarification, plate carrier vests are not inherently penetration resistant. Most of these vests are constructed from simple clothing material. The protection comes when impact plates are placed in the pockets built into these vests, meaning the only parts protected are the parts covered by plates. This makes things like additional side plate pockets a real advantage to protection. But with added protection comes added weight. To reduce more limited mobility, the vest makers have to use as lightweight of material as possible. This grants the wearer as much flexibility as possible. This great model is from Condor, this vest is constructed with heavyweight hook and loop webbing to hold modular attachments. Able to hold up to four plates, a 10×12 in the front and an 11×14 in the back, as well as either 6×6 or 6×8 side plates, depending on your needs. This gives maximum protection in a very well-built package, as the side plates easily cover the kidney and liver regions of the body. 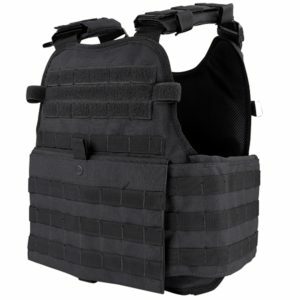 Built with an emergency drag handle that doubles as a carry strap, quick release buckles on the sides and shoulders, and an internal waist strap, Molle compatible, this is a great all around plate carrying vest. 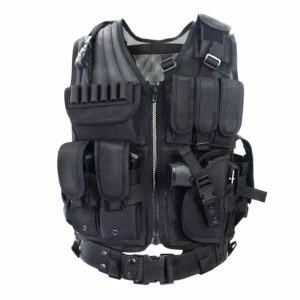 Made from heavy duty nylon, this vest is covered with molle straps, front and back. Along with that, this vest boasts a 17×13 front plate slot, 16×13 in the back, and 8×10 on each side providing maximum coverage of the vital areas of the wearer. Combine that with the military style digital camo and this is definitely an impressive vest. Another entry from Condor, this model shares many of the same features as other Condor products. These include the emergency drag handle, quick adjust shoulder straps, hook and loop webbing panels, and quick release buckles. Capable of holding as large as 11×14 plates in front and back, this model stays light by not offering side plate options out of the box. 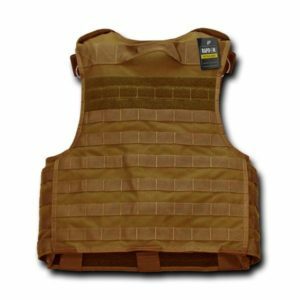 Slimmer and lighter than the MOPC Gear Vest, the Sentry is one of the best vests on the market to learn with, an amazing starter vest that offers amazing coverage, plenty of molle straps, and is easy to put on and take off. 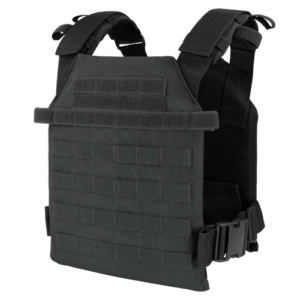 This vest from Nwestun Tactical can accept two 10×12 plates, one in front and one in the back. Made from high-density nylon Oxford fabric, and covered in 1-inch molle straps, this lightweight, and durable vest is great for anyone looking for a decent vest that can be upgraded in any fashion.The biggest drawback to this vest is its inability to resize for larger wearers. This blue stone vest is made in America of 100% nylon. Designed to hold two 10×12 plates, one in front, one in the back. With molle straps in only the front, this is more of a straight protection vest than a gear carrying vest, but that’s not necessarily a bad thing as not everyone needs to carry so much gear. This Yakeda plate carrying vest is made from 900D high-density nylon, made to be fully adjustable from small to double extra large, this vest offers comfort and security to all. Accepting a 10×12 plate in both the front and back and of course capable of accepting all molle packs and accessories. * Includes 3 standard magazine pouches,1 map and flashlight pouch, 2 communication pouches and 1 medic pouch, all bags are removable. This sleek and small vest can carry two plates, 11×14 in the front, and a massive 11×17 in the back. A special fitted release cable allows for quick removal of the vest. 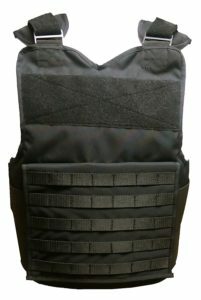 As is the standard, the vest is completely molle compatible and is therefore completely customizable. Low weight and smooth lines make this plate carrying vest impressively transportable for a gear bag or in a vehicle. Manufactured by Blackhawk, the 14210-LW is an all-around solid molle platform. Capable of holding just a front 10×12 plate, this vest offers higher mobility than a multiple plate unit. For simplicity and comfort, this vest has no equal, and Blackhawks renowned durability makes sure this vest will last for years. For pricing, availability, and shipping, please check the Amazon links for each item. Be sure to check local and national laws for your area before ordering. Also, know that none of these vests come with ballistics-rated plates as these are just the vests. Those are our picks for the Top 8 Plate Carrying Vests on Amazon. From four surrounding plates to one simple front plate, there is a wide variety of options to suit any need. All of these products have their own merits and really serve their own purposes. And while you’re looking at the different vests on the market don’t forget about storage. 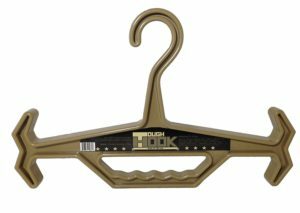 No ordinary hanger will do, as this is a piece of tactical gear it should be hung with the same degree of precision. 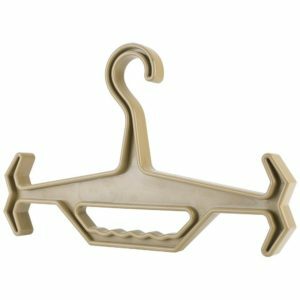 Check out this short list of hangers to properly store your new plate carrying vest. The biggest thing to remember when looking at plate carrier vest, is that size references the size of plates to be carried, and not the size of the wearer. Those changes are usually covered by adjustable straps or velcro, and are considered standard unless otherwise noted. However, plate size should still be considered when picking your proper size. Smaller framed men and most women should start somewhere in the medium range. The slightly smaller plates will not affect movement as much. Always make sure the fit is correct, and go with larger plates if necessary. A properly fitted vest will hold the plate right around the collarbone, and it will extend down to around the bottom of the lungs. However, larger plates can extend down and protect more of the abdomen, keeping in mind that large plates have a higher weight. If you’re planning on carrying multiple packs on your vest, that will also increase the weight. Another thing to consider is, the number of plates that the vest will carry. Some rigs carry four, including two smaller side plates for added protection. 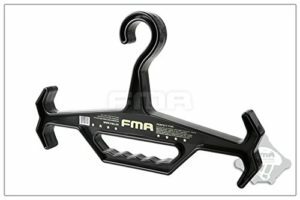 Most rigs carry 2, one in the front and one covering the back, and the lightest of all offer only one plate in the front. Speaking of the number of plates available in each vest, that in itself can be a very important choice. Are you trying to stay lightweight but are willing to sacrifice plates? Or are you going for maximum protection, paying no regard to mobility? Personally, I believe the more plates the better, as this offer the most protection and coverage. Next, what do you want the vest to carry? I’m not talking about the plates, as those will be carried inside the vest. Rather what do you want to be carried outside the vest, where you can easily access it in any situation. Does it only need velcro patches for identification, or do you need an entire chest of molle strips for medical packs and ammunition magazines? This is where the real customization comes in with vests, as everyone’s tastes and needs are different. Someone who only carries a pistol wouldn’t need rifle packs on their vest, but they might still want to carry medkits or hydration packs. Or perhaps they would rather have no extra gear to snag on branches while moving through a wooded environment. Customizations with packs are almost limitless. 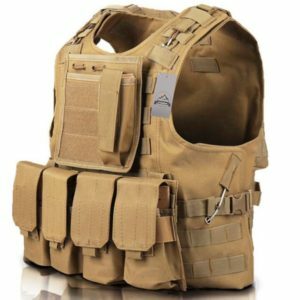 When looking at a vest you should still consider how much of the vest is allotted for those attachments, whether you already have packs or if you have plans of doing that in the future. Some vests offer very little and some vests dedicate the entire surface area to retention straps for gear. Don’t forget simple cosmetics as well. Choosing the proper color or camo can be just as important as the right fit. Most vests on the market today are offered in the basic “military” and “law enforcement” colors, as well as some more extravagant camouflages from around the world. Sometimes the simple colors are the best though, as it’s easier to find matching accessories, for an overall more uniformed and professional look. Finally, the inclusions. 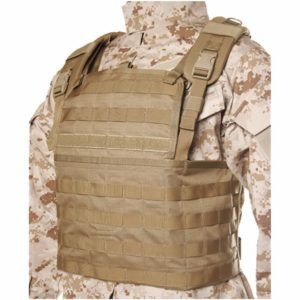 If you’re really looking for value, some vest comes pre-packaged with magazine carriers and supply packs, as where others come bare requiring you to hunt down all the accessories yourself. Honestly, this one isn’t nearly as important as all the others, but if you are on a budget, it is something to consider. Just remember that the plates themselves will have to be purchased separately, but you already knew that. 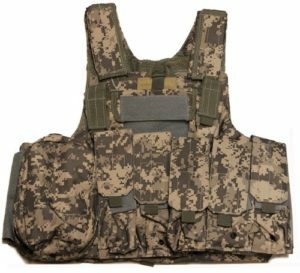 Hopefully, this list of the Top 8 Plate Carrier Vests will help shed some light on the options that are out there, and help you when considering purchasing your own rig. It’s up to each individual to determine their need when selecting a plate carrying vest. In my personal opinion, the vests that carry the larger plates and the side protection are hands down the greatest available. But no matter what I think, it really comes down to what you personally want. A vest is as unique as it’s wearer, a true reflection of the sportsman it is on. Be sure to consider every angle of your personal situation when picking your tactical gear. No matter what you get it should be right for you and help you be at your very best at all times.Carefully considering every detail of what you really need in your plate carrying vest is essential to selecting the best gear possible. Stay safe out there. I love this vest and hanger. Vests are good for hunting, fighting, shooting, riding, defense force and police officers. These vests are so vital because they truly protect your body. If you are going hunting you also need a solid vest.